The room "right" is friendly and can be booked thanks to the sofa bed as a double occupancy. Facilities also include a radio, TV, dishes, coffee maker, toaster and refrigerator. It is connected with room "left" by a corridor and shares the bathroom with shower and toilet. 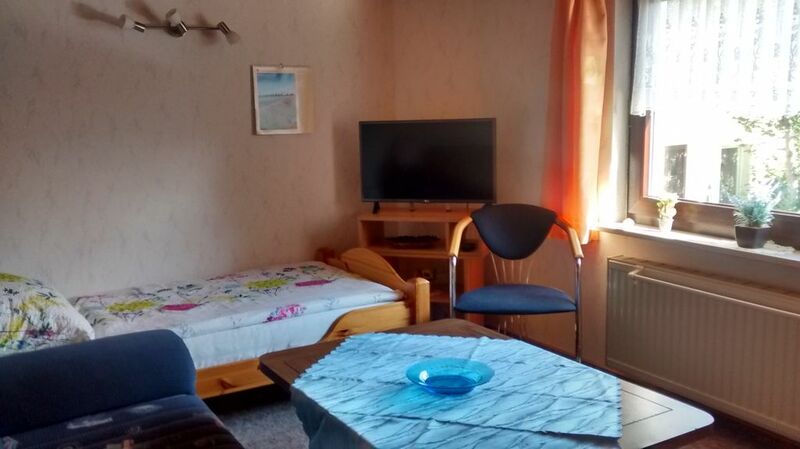 Both rooms are bookable separately and can be booked together.